Lions roar. Tigers growl. And this weekend, thousands of people will be going to Boo at the Zoo. The Gladys Porter Zoo’s 28th annual Halloween celebration Monday and Tuesday likely will draw thousands of people from all across the Rio Grande Valley to Brownsville. “I want to say it’s the biggest Halloween event in the Valley,” Zoo Public Relations Coordinator Charlie Abrego said, adding that 14,000 people attended the two-day spook-fest in 2016. 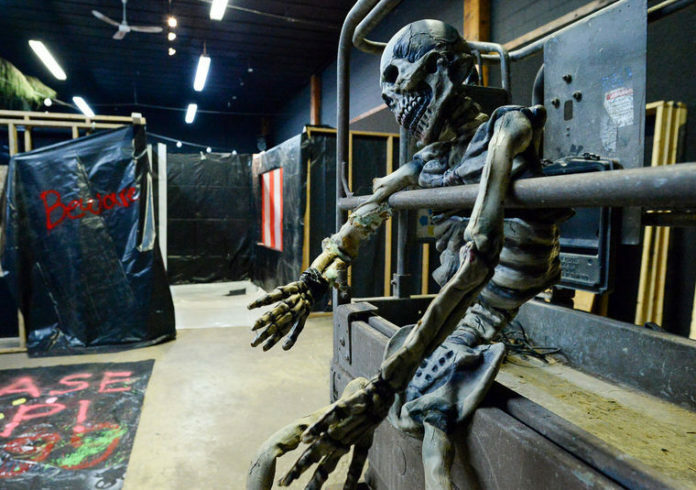 The facility includes a haunted house, but don’t worry if little ones want to take a tour of the popular haunted attraction. Once they exist the haunted house, Boo at the Zoo-goers can wind their way through tables filled with candy and games — Abrego said the zoo spends about $10,000 on candy, so be prepared — to the Russell Aquatic Ecology Center. Pre-sale tickets are $2.50 while the day-of cost is just a dollar more. Tickets can be purchased online at the zoo’s website and at the zoo entrance. Abrego said anyone who would like to donate a pumpkin to help decorate the zoo can call and drop it off any time Sunday or before.